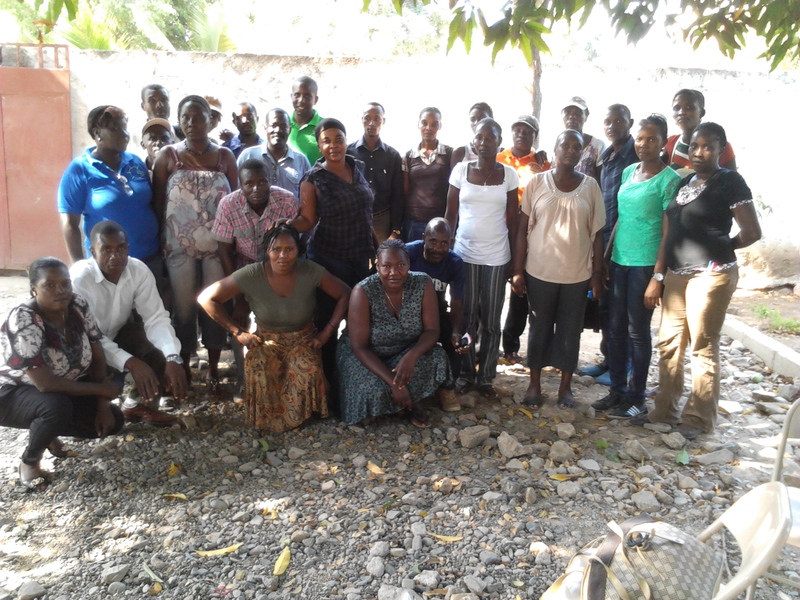 Community Entrepreneurs gather in Ouanaminthe. 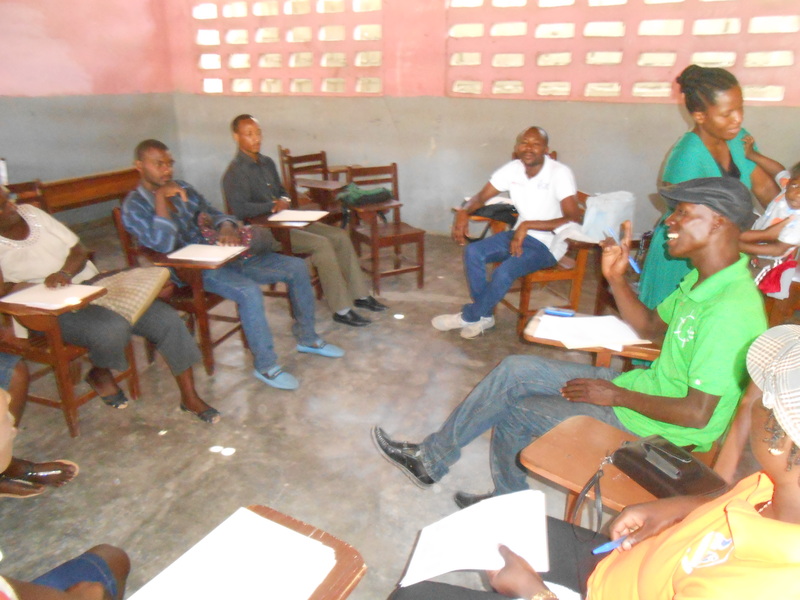 On Saturday April 25th 2015, the team of Sol Kom Yo organized a meeting for all its community entrepreneurs, in Ouanaminthe. The venue which hosted the gathering was George Muller College, which is a school located across the road from the office of SOL Kom Yo. From 9 am to 3.30pm , 27 community entrepreneurs took part in a series of activities that were aimed at analyzing the quality of their work in the community and learning news strategies todevelop their marketing skills. For some activities, the community entrepreneurs were clustered with their area supervisor (Elizabeth,Antonio or Felix), but there were also some moments when all the participants were sitting altogether for common discussions and interchanges of experience. Such meetings are always organized at least twice a year in order to provide support and give appreciation to the work carried out by the community entrepreneurs who have been working with us for a long time. It is also a way of providing further training to the community entrepreneurs who have joined our team recently. This meeting had two particularities. One of them was the fact that it was the first meeting of this kind for the year 2015. The second particularity of this general gathering was the fact that the participants got the opportunity to compose and perform together some songs about the work that we do at SOL KOM YO. This was a very interesting and entertaining activity for all of us. In the end we had three nice songs which had been written on the spot by the community entrepreneurs for SOL KOM YO. Antonio Vixama , the coordinator of Sol Kom Yo , took advantage of that big meeting to invite a health professional who gave us an interesting presentation about rabies. As many of the community entrepreneurs are active members of community-based associations , it was crucial for us to equip them with some knowledge that they could spread in the rural areas in which they live and work in order to raise awareness and save lives. At the end of the day, the community entrepreneurs went back home in Fort Liberté, Les Perches, Caracol, Trou du Nord, Sainte Suzane, Mont Organisé, Carice, Monbin Croshu , Vallieres, Ouanaminthe, Capotille, Ferrier and Terrier Rouge with good morale and a stronger sense of team spirit.